Neurofeedback training (NFT) approaches were investigated to improve behavior, cognition and emotion regulation in children with autism spectrumdisorder (ASD). 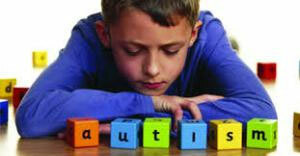 Thirteen children with ASD completed pre-/post-assessments and 16 NFT-sessions. The NFT was based on a game that encouraged social interactions and provided feedback based on imitation and emotional responsiveness. Bidirectional training of EEG mu suppression and enhancement (8-12 Hz over somatosensory cortex) was compared to the standard method of enhancing mu. Children learned to control mu rhythm with both methods and showed improvements in (1) electrophysiology: increased mu suppression, (2) emotional responsiveness: improved emotion recognition and spontaneous imitation, and (3) behavior: significantly better behavior in every-day life. Thus, these NFT paradigms improve aspects of behavior necessary for successful social interactions. Friedrich EV1, Sivanathan A, Lim T, Suttie N, Louchart S, Pillen S, Pineda JA. J Autism Dev Disord.